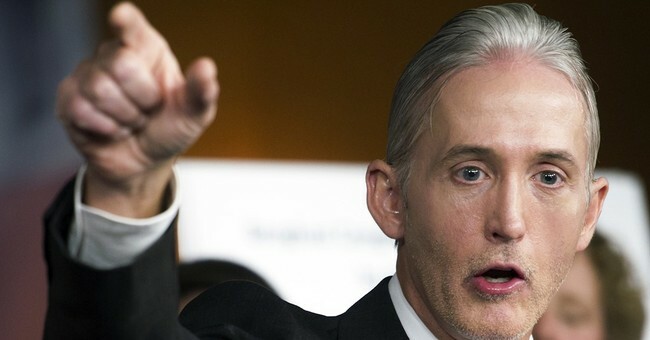 House Oversight and Government Reform Committee Chairman Trey Gowdy slammed the FBI and fired Director James Comey Tuesday morning on Capitol Hill. The remarks came during a hearing about the Department of Justice Inspector General report released last week. The report exposed extreme anti-Trump, pro-Hillary bias from FBI agents working on the Hillary Clinton email investigation and Robert Mueller’s Special Counsel probe. It also strongly implies Clinton should have been prosecuted for repeated mishandling of classified information, but was treated with a different standard by senior FBI agents working on her case. House Judiciary Chairman Bob Goodlatte also expressed his disappointment. “The IG report details unusual actions taken by law enforcement officials who were sworn to uphold the Constitution impartially and fairly. They failed in that duty,” Goodlatte said. DOJ Inspector General Michael Horowitz testified at the hearing and said there is no room at the FBI for any kind of political bias. "There are many lessons to be learned from the Department (DOJ) and the FBI's handling of the Clinton email investigation," Horowitz said. "When leaders and officials adhere to bedrock principles and values, the public has greater confidence in the fairness and rightness of their decisions." "The public's trust is negatively impacted when law enforcement officials make statements reflecting bias, when leaders abandon institutional norms and the organizational hierarchy in favor of their own adhawk judgements," he continued.